This view of Aysgill Force from below was provided to us by Ivan Thompson, who tells us how he obtained these unusual pictures. I went up the beck from the ford in Gayle as I often used to do many years ago whilst holidaying in one of the cottages there. It's a really good way of getting to the falls and seeing other interesting sights on the way as long as you don't mind getting your feet wet!! 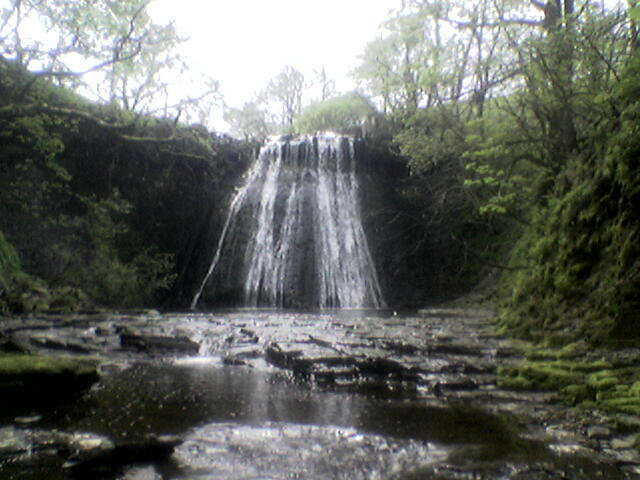 We actually used to swim in the pool at the bottom of the falls.